President Rivlin speaks at ceremony in honor of Jerusalem's liberation: Those who want to divide the city will bring about disaster. 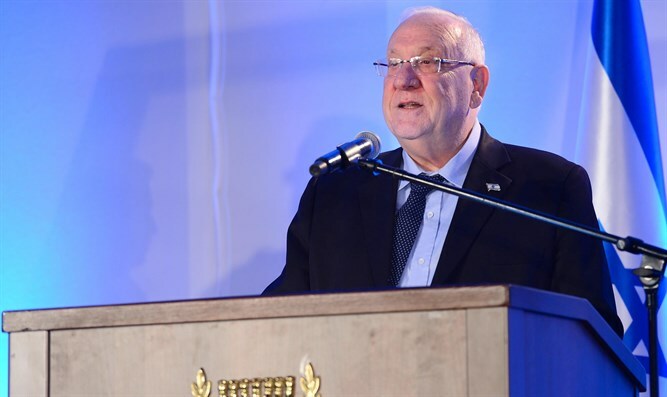 Jerusalem is not the problem but rather the solution, President Reuven Rivlin said Sunday at the opening ceremony celebrating the 50th anniversary of the liberation and unification of Jerusalem, which was held in the Old City. "The Israeli government, which invests a tremendous and commendable investment in Jerusalem, must at this time look directly at the reality in the eastern part of Jerusalem," the President said. “The Israeli government and the city of Jerusalem must make a courageous and determined decision to begin the long journey of uniting the city in practice." "Fifty years later, we must join forces to create a multi-year plan for the unification of the city. This plan expresses our duty not only towards the residents of the eastern part of the city, but towards all its residents, and toward our capital, the united eternal capital," concluded Rivlin.